Press the button on the remote control, and check whether [ ! ] 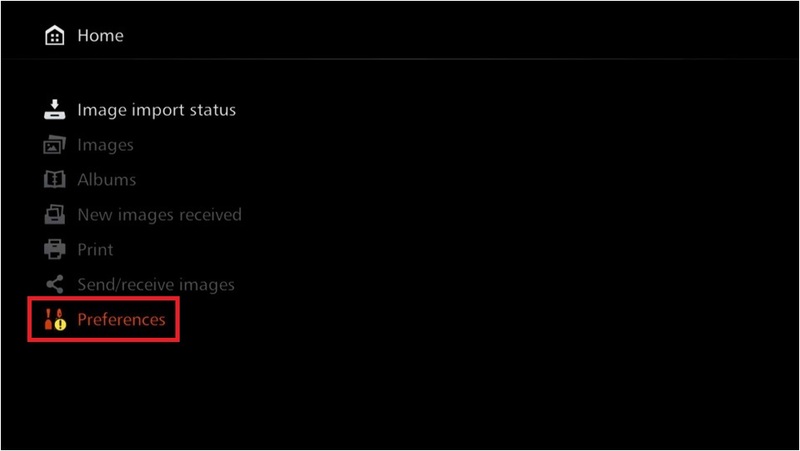 appears over the “Preferences” item, and if so, select the “Preferences” item, and then press . Press the button of Cross keys on the remote control, select the tab in the image below, and after checking that [ ! ] 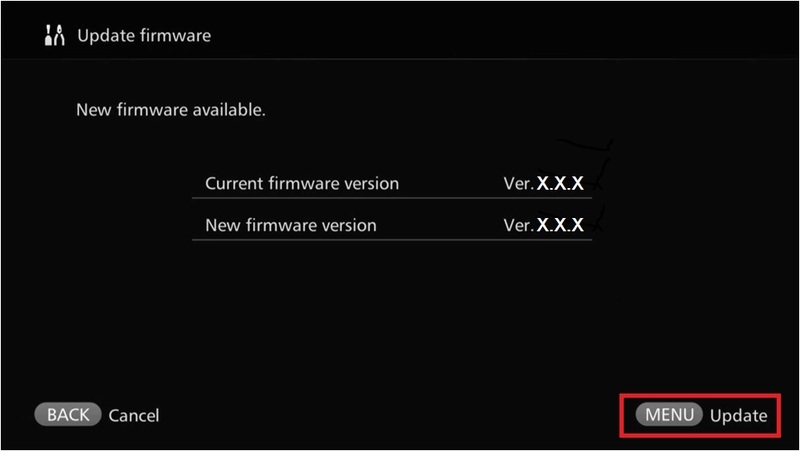 appears next to [Update Firmware], select [Update Firmware], and then press . Press on the remote control to start downloading and updating the firmware. 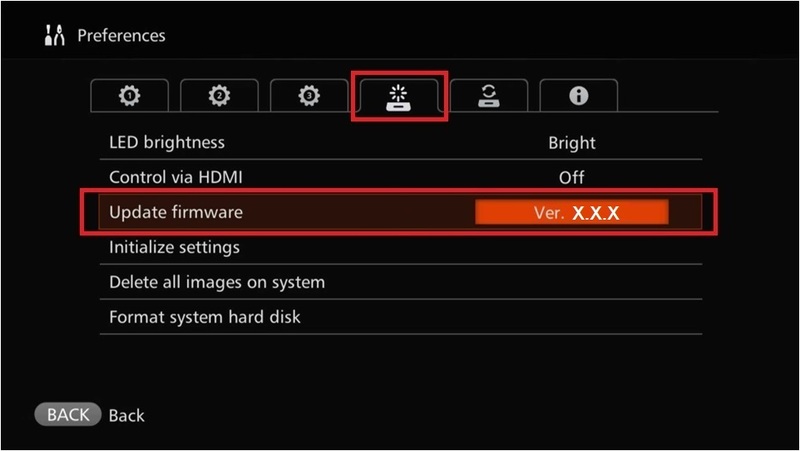 Press the button of Cross keys on the remote control, select the tab in the image below, and check whether the information on the [Update Firmware] screen indicates the latest firmware version.